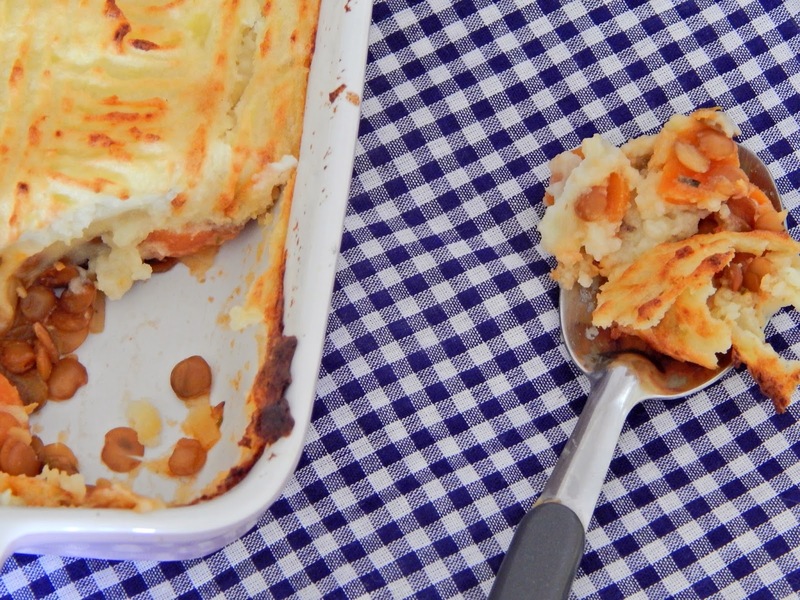 If there’s one thing that says comfort food, it’s this Golden Cottage Pie. I love making this for non-vegan friends… and they love it too! 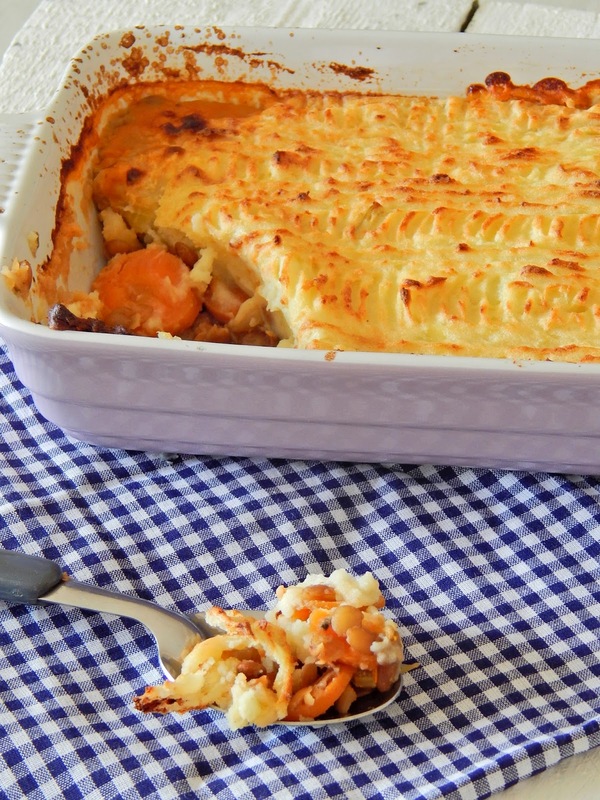 Often, I adapt my recipes over time, but this cottage pie has stayed the same. The aroma of this pie baking in the oven is nostalgic to me; good hearty food that reminds me of my Mum’s cooking. It freezes really well too, if you’re not going to eat it all at once. 1. Bring a large pan of water to the boil and add in the potatoes. Cover and boil for 20-25 minutes until soft. Drain the water thoroughly and mash in the soya milk and olive oil until completely smooth. Season with sea salt. 3. To make the lentil mince, heat the olive oil and onion in a pan over a medium heat in until the onion starts to soften. Add in the celery, garlic, carrot, peas and red wine and cook for 2-3 minutes until the wine starts to reduce. Stir in the lentils, rosemary, thyme, Marmite and vegetable stock, reduce the heat to medium-low and simmer for 10 minutes. 4. Spoon the lentil mince into a heat-proof dish and even out with a spoon. Smooth over a layer of mashed potatoes. Bake in the oven for 25-30 minutes until the topping is gently crisp and golden.